Addition: Finely-divided inorganic material used in concrete in order to improve certain properties or to achieve special properties. Two types of inorganic additions are nearly-inert additions (Type I) and pozzolanic or latent hydraulic additions (Type II). Admixture: Material added during the mixing process of concrete, in small quantities related to the mass of cementitious binder, in order to modify the properties of fresh or hardened concrete. Binder: The combined cement and Type II addition. Filling ability: The ability of fresh concrete to flow into and fill all spaces within the formwork, under its own weight. Flowability: The ease of flow of fresh concrete when unconfined by formwork and/or reinforcement. Fluidity: The ease of flow of fresh concrete. 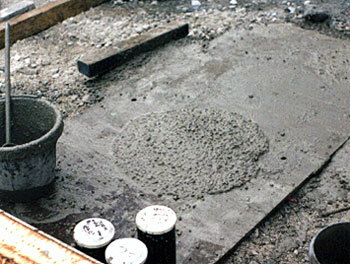 Mortar: The fraction of the concrete comprising paste, plus those aggregates less than 4 mm. 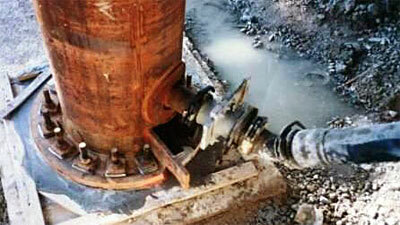 Paste: The fraction of the concrete comprising powder, water, and air, plus admixture if applicable. Passing ability: The ability of fresh concrete to flow through tight openings, such as spaces between steel reinforcing bars, without segregation or blocking. Powder (Fines): Material of particle size smaller than 0.125 mm. Note: It includes this size particle in the cement, additions, and aggregate. Proprietary concrete: Concrete for which the producer assures the performance subject to good practice in placing, compaction, and curing, and for which the producer is not required to declare the composition. Robustness: The capacity of concrete to retain its fresh properties when small variations in the properties or quantities of the constituent materials occur. Self-Consolidating Concrete (SCC): Concrete that is able to flow and consolidate/compact under its own weight, completely fill the formwork even in the presence of dense reinforcement, whilst maintaining homogeneity and without the need for any additional compaction. Segregation of resistance: The ability of concrete to remain homogeneous in composition while in its fresh state. 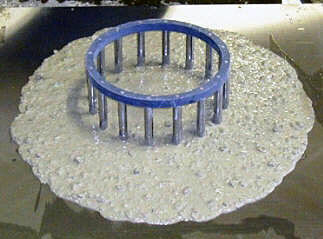 Slump-Flow: The mean diameter of the spread of fresh concrete using a conventional slump cone. Thixotropy: The tendency of a material to progressively lose fluidity when allowed to rest undisturbed, but to regain its fluidity when energy is applied. Viscosity: The resistance to flow of a material once flow has started. 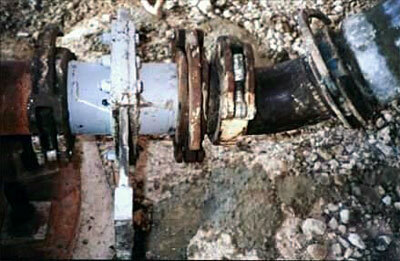 Note: In SCC, it can be related to the speed of flow in the Slump-Flow test, or the efflux time in the V-Funnel test. Viscosity-Modifying Admixture (VMA): Admixture added to fresh concrete to increase cohesion and segregation resistance.